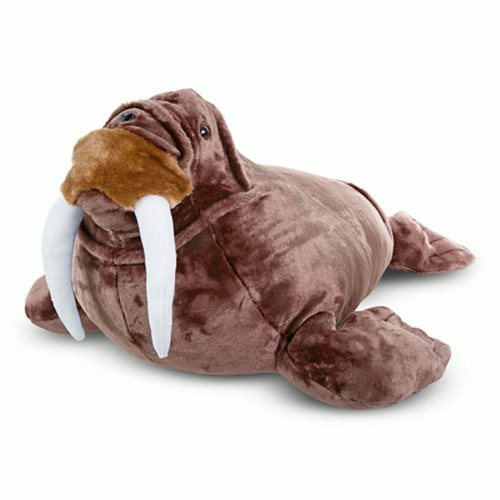 Make way for this cute Walrus 30 1/2-Inch Plush! The walrus measures 30 1/2-inches long x 24-inches wide x 14 1/2-inches tall. The plush is made from top-quality materials and features realistic coloring and detail down to its 2 tusks and the folds of skin on its nose. Ages 3 and up.